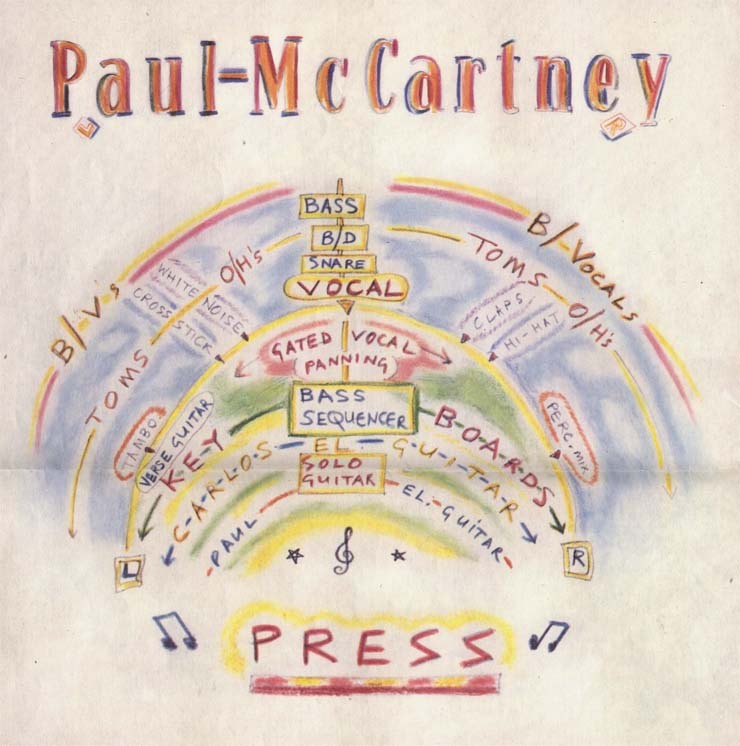 Paul McCartney's long-awaited new single, "Press", was released on 14th July. The 12" features special mixes by Bert Bevan and Julian Mendelsohn and has an exclusive track, "Hanglide" -an instrumental mixed by Mac 'n' Matt, alias Paul McCartney and Matt Butler. Taken from the new album, Press to Play, Paul has made a fabulous video to back up the single, featuring a very exotic location! And there are three extra tracks on the CD, which could drive many of us to invest in a machine capable of playing the small shiny things. Track three, side two, showed cosmic foresight: when Paul was shooting aforesaid fab vid, he encountered a busker playing the Beatles' "Help" and gave him a doubloon, whereupon the poor chap muttered "I can't handle this" and stopped playing! See our next Album Issue for a complete track-by-track info kit and exclusive features on how the album was put together.